Lettings to Daisy and Utilita at Hampshire House, Hampshire Corporate Park, Chandlers Ford, Eastleigh Completed the lettings of the first-floor to Daisy Wholesale Limited, a telecoms provider, and Utilita Energy, each of whom will occupy 10,000 sq. ft. on new 10-year leases, at a rent of £19.75 per sq. ft.. Renewal of lease with Scottish Ministers at Calton House, South Gyle, Edinburgh Completed a 5-year extension to the lease of the Scottish Prison Service’s 51,914 sq. ft. administrative HQ from October 2017. Increased occupancy at Gyleview House, South Gyle, Edinburgh In partnership with serviced office operator Citibase, Regional REIT completed a number of new lettings in April and May. These lettings will generate additional headline gross revenue of £21,950 per month. Renewal of lease with Dunelm (Soft Furnishings) Limited at Skippingdale Industrial Park, Scunthorpe Completed a 5-year lease renewal on 30,495 sq. ft. retail warehouse unit. London & Scottish Property, property and asset manager to Regional REIT Limited, has completed lettings of the newly refurbished first floor of Hampshire House to internet and telecoms provider, Daisy Wholesale Limited (“Daisy”), and to the leading supplier of ‘pay as you go’ energy in the UK, Utilita Energy Limited. Each will occupy 10,000 sq. ft. of newly refurbished space, on 10-year leases, at a rent of £19.75 psf, with options to break at the fifth anniversary. Formerly known as NatWest House, the building was rebranded as part of refurbishment works which have already seen the creation of a new entrance and approach and the provision of new shower facilities and refurbishment of the common areas. This final phase of the refurbishment of the office space follows the expiry of the lease to Aviva in December 2016, completing a £1.5m investment in the building by Regional REIT. By advance programming and marketing of the space London & Scottish have been able to minimise the void period for the building to 5 months whilst the works were ongoing. 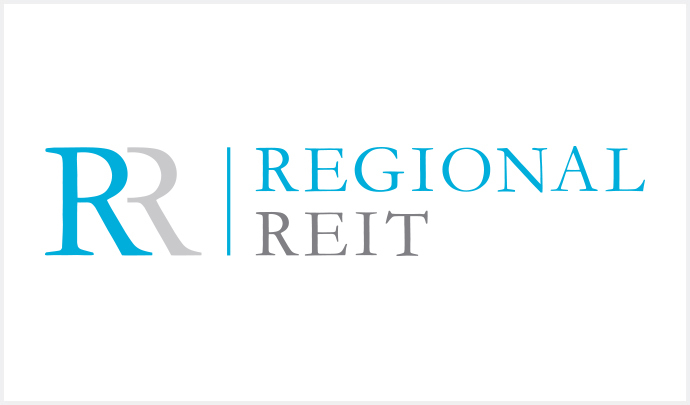 London & Scottish Property, property and asset manager to Regional REIT Limited, has completed the renewal of the lease with The Scottish Ministers of the 51,914 sq. ft. Calton House at South Gyle, Edinburgh. The building is home to the Scottish Prison Service, being its administrative HQ. The current lease was due to expire in October of this year, however, agreement has been reached to extend this for a further 5-years at the passing rent of £612,108 (£11.79 psf), subject to a rolling break option in favour of the tenant from 30 April 2020. London & Scottish Property, property and asset manager to Regional REIT Limited, has completed further new lettings in April and May at the 24,503 sq. ft. Gyleview House, South Gyle, Edinburgh. Working with serviced office centre operator, Citibase, these lettings will generate additional headline revenue of £21,950 per month before costs. Citibase are now forecasting the centre to generate net profit revenue after operator costs for the forthcoming 12 months of £289,559 (£11.81 psf). The building is heading towards full occupancy with three further strong letting prospects currently being advanced. London & Scottish Property, property and asset manager to Regional REIT Limited, has completed the renewal of the lease of the 30,495 sq. ft. retail warehouse unit at Plot 15, Holyrood Drive, Skippingdale Industrial Park, Scunthorpe. The lease renewal is with Dunelm (Soft Furnishings) Limited for a further 5-years from April 2017, at a rent of £182,286 per annum.